The Valmiki Tiger Reserve is positioned in the northern most part of the West Champaran district of the state. Dotted with steep ravines, sharp ridges and vertical walls, the sanctuary is marked by broken, undulating, and highly fragile geological formations. Valmiki Tiger Reserve in Bihar is one of the Project Tiger Reserves in India. The prime purpose of forming the Valmiki Tiger Reserve was the protection and conservation of tigers. The sanctuary was set up in the year 1990 as the 18th Tiger Reserve of the country and second in Bihar. 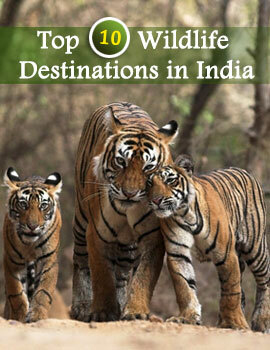 There is a plethora of animals at Valmiki Tiger Reserve . Apart from the Tiger, the faunal species include the Leopard, Fishing Cat, Leopard Cat, Spotted Deer, Sambar, Hog Deer, Black Buck, Gaur, wolf, serow, hyenas, Indian civets, Jungle cats, wild dogs Sloth Bear, langoor, Rhesus Macaque, etc. You will also come across birds like the peafowl and reptiles like the python at the sanctuary. 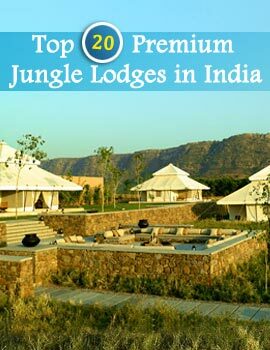 During your visit to the Valmiki Tiger Reserve you can enjoy a comfortable stay at the various hotels near the sanctuary. You can reach the sanctuary conveniently by air, rail, and road. The nearest airport is 295 km away at Patna, while Valmiki Nagar (5 km) is the closest railhead. From Valmiki Nagar, you can avail of buses to reach the nearest town Bettiah (80 km).For you to know about the Valmiki Tiger Reserve Indian Holiday can help you with information about the Valmiki Tiger Reserve in Bihar. Just get in touch with us for more information about Valmiki Tiger Reserve in Bihar.